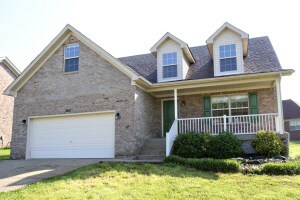 262 Berger Farm Dr Mt Washington KY 40047 is a lovely three Bedroom home with neutral decor & spacious floor plan. You'll love the welcoming front porch which opens to a two story Great Room with abundant natural light. 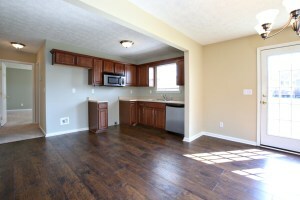 The Great Room opens to the Kitchen with good sized dining area, attractive flooring, and access to the back yard. The first floor Master Bedroom includes a walk in closet and private master Bath with jacuzzi, walk in shower, and tile flooring. A Half Bath and Laundry Room complete the first level of the home. The second floor includes two large Bedrooms with walk in closets, a storage room, and a Full Bath. 262 Berger Farm Dr Mt Washington KY 40047 has a wonderful level back yard that is perfect for outdoor games and entertaining. The property also features a two car attached garage. Great location and spacious interior! Call today to set up a private showing and learn more about Mt Washington homes for sale! 7101 Derby Drive Crestwood KY 40014 is an immaculate ranch with loads of upgrades in the Kentucky Acres subdivision of Crestwood. You'll love the welcoming front porch which opens to the Living Room with gas fireplace, vaulted ceiling, and beautiful Brazilian cherry hardwood floors that continue to the hallway and Kitchen. The Kitchen is wonderful with tile back splash, granite counters (2014), spacious dining area, recessed lighting, and upgraded appliances (2012). The spacious Master Bedroom has its own Master Bath wtih walk in shower and jacuzzi. Both other bedrooms are close to an upgraded Full Bath. A nice laundry rounds out the first floor. The finished walk out basement opens to a pleasant family room with eye catching ceramic tile flooring that looks like hardwood. The Family Room showcases recessed lighting and built in wet bar. There is also an additional Bedroom in the basement, a Full Bath, and completed room that the current owner has been using as a music room. 7101 Derby Drive Crestwood KY 40014 has over an acre lot and a 2 1/2 car garage. The relaxing back yard has a great deck with patio below for outdoor enjoyment. Numerous upgrades have been made through the interior and exterior of the home including bathroom tile, fresh paint throughout, replacement carpeting, new driveway (2014), and water heater (2013) to name a few! Call today for your private showing of this fantastic home for sale in Crestwood! 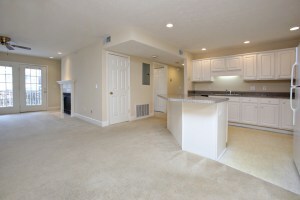 8500 Atrium Dr #101 Louisville KY 40220 is an amazing first floor condo in the Atrium at Stonybrook. Close to shopping & dining along Hurstbourne! The lovely foyer greets guests with marble tile & neutral decor. 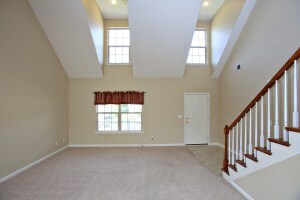 The bonus room just off of the foyer would be the perfect spot for a sewing room, play room, or home office! The Family Room displays recessed lighting, plush carpeting (also in the hallway and second bedroom), built in shelving, gas fireplace, and access to the sunny balcony. The convenient Kitchen makes entertaining a breeze with a breakfast island, pantry, stainless double sink, recessed lighting, and pantry. You'll love inviting guests for dinner in the dining area accented by decorative chair rail & chandelier fixture. 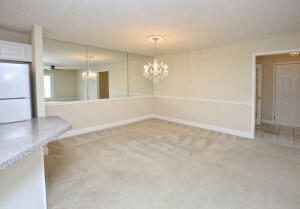 The Master Bedroom is inviting with a walk in closet and private Master Bath with Premier bathtub. The second bedroom is convenient to a Full Bath with long vanity and tub/shower combo. 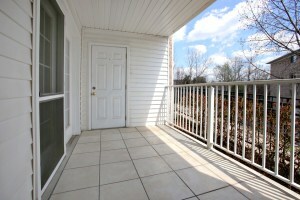 The balcony is a great spot to enjoy your morning coffee with abundant natural light and a good sized storage room. The unit also has its own Laundry Room off of the Master Bedroom with overhead shelving. 8500 Atrium Dr #101 Louisville KY 40220 also includes a 1 car attached lower level garage and additional storage space that can be accessed via the elevator. 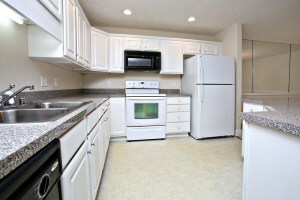 Be near it all with maintenance free living! Residents of The Atrium at Stony Brook enjoy building security, water, exterior maintenance, and snow removal. Call today for your private showing and let us give you a tour of Louisville Real Estate! 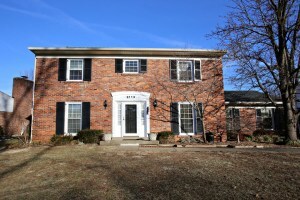 113 Tiverton Way is a beautiful 4 Bedroom brick home in Westwood! The property will be Open this Sunday for viewing and you are invited! Please call 502-371-1173 for additional information about this home and other Open Houses in Louisville KY. We would love to assist you with your home search this spring! Its May in Louisville KY! There are so many enjoyable things to do in the month of May in Louisville! 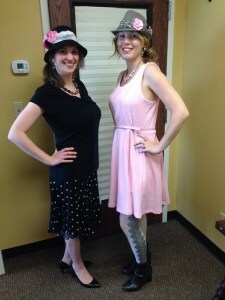 Louisville kicks of May with the wonderful Kentucky Derby Festival. Interested in several other fun things to involve yourself in this month? Keep Louisville Weird! One thing our city loves to do is support our local entrepreneurs. You can’t go far in Louisville without finding yourself meandering around a chic local boutique or delving into the best sandwich you ever tasted at a restaurant where the owner lives around the block. One of the reason’s our real estate team is so successful is because we love this city. We love the people here, the ones that we help make their homeowner’s dream come, the ones that we help search the perfect neighborhood for their families, and the ones that are just itching to live in a new part of town. When we help our clients settle down here, we want to make sure that not only their home but their experience in Louisville is the best it can be. That is why we give back to the local businesses. Just like the rest of Louisville. It’s a part of our Keller Williams culture. Shop local, dress local, eat local. Now you can help even the newest of Louisvillians by attending one of these events and supporting their businesses. The Flea Off Market is a Louisville must do. The first weekend of every month, around 150 vendors get together and share their goods. Everything from jewelry to antiques to farm fresh goods, you will find the unique item to inspire you. Food trucks and restaurants will be there and also good music provided by a local DJ. May 17th BAM! Books, Art, Music! Noon-6:00pm Local artists, musician, music lovers, book lovers, book collectors and everyone in between gather here at the BAM! event. Buy some books, listen to music, or grab some wine as you listen to live music and enjoy the atmosphere. The 6th Annual Buy Local First Fair is a great way to get out and meet farmers, crafters, artist, and entrepreneurs. If you’re new to Louisville or are unsure of which business to support, stop by this fair and meet some of the awesome citizens dedicated to keep Louisville weird and local. For more information about Louisville culture, contact one of our Realtors in Louisville and we will be glad to provide further details about our town! Pam Hawkins was great. Very helpful and knowledgeable. Her negotiation skills are great. She responded quickly to all inquiries and kept the home buying process moving forward. I would recomend Pam and her team to any one looking to buy a home.